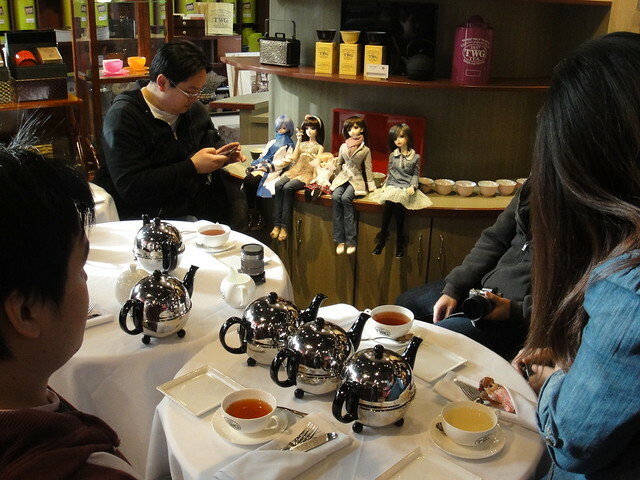 I only had my little point and shoot camera, so I’m going to borrow some photos from my friends that were there ^__~” Here are some of the dollies that came out for tea: Lightning Sabre‘s Meiko, my Nana, Kentaro’s little SQ-LAB Moe, puppy52’s Saya, Chiseen‘s Lorina. 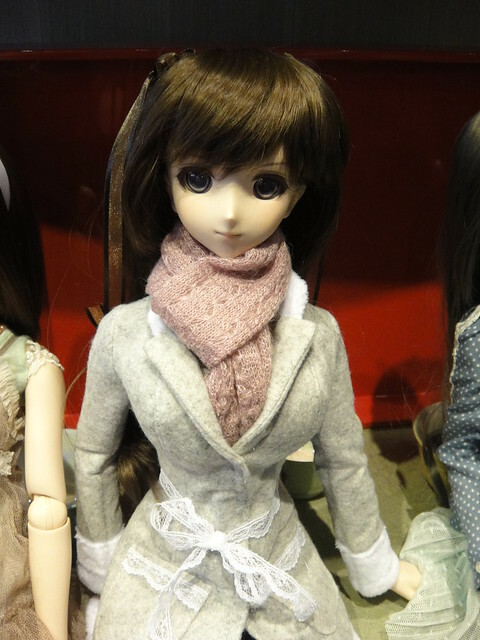 Puppy52 brought beautiful Saya (DD Sakuya) who was dressed for a mild winter day. I love her pretty coat! 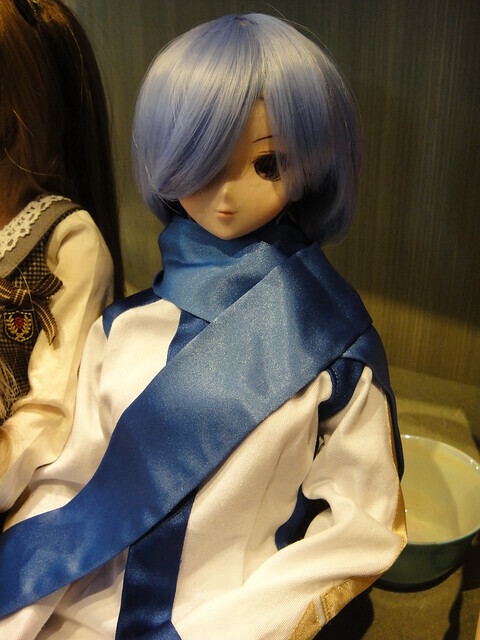 LightningSabre brought his custom MEIKO, who is cosplaying as Reiko today! 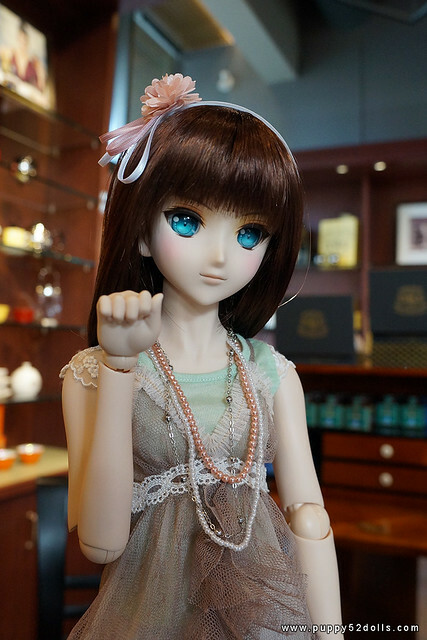 Cheesienpaw brought her gorgeous Volks SDGr Lorina, Misa-chan. 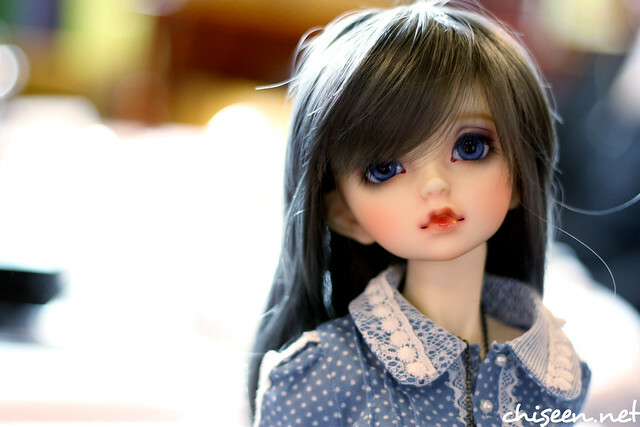 This grey wig really brings out the blue in her eyes. Shigematsu brought his newly arrived SQ-LABs head, Moe along with LtSid’s chibi version! Double the Moe! 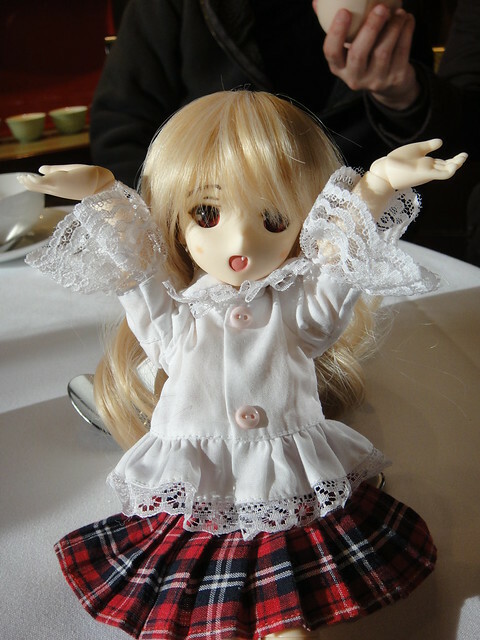 The SQ-LAB 1:6 body is very cute. The knees are bit kicky, but it’s not too hard to handle. 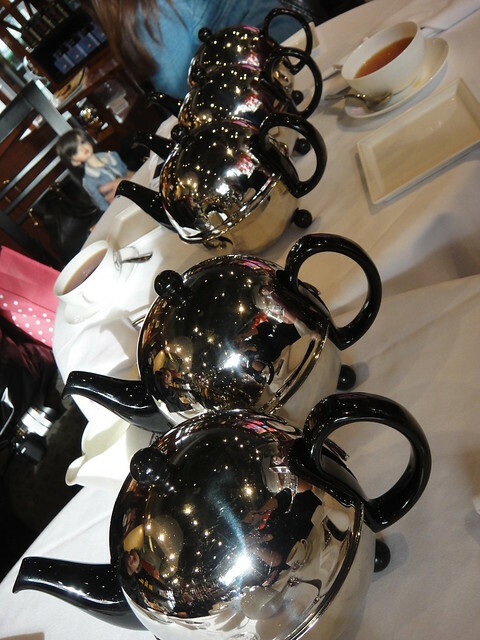 Everyone got their own pot of tea, so there were a lot of teapots on the table! 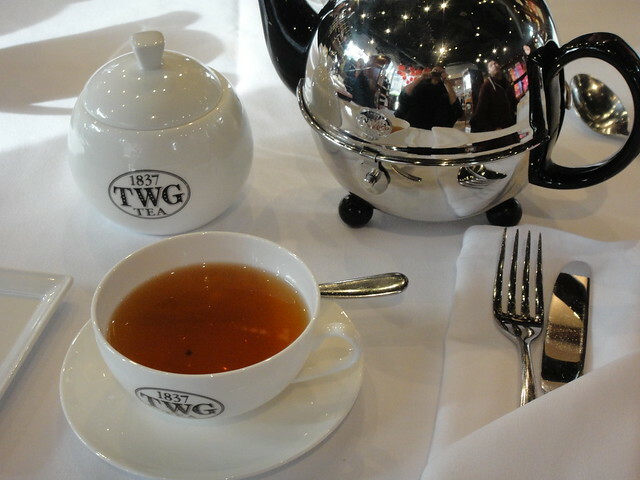 I ordered a lovely tea called Grand Wedding – it’s a black tea is blended with sunflowers and exotic fruits. It was mildly fruity and not too astringent. 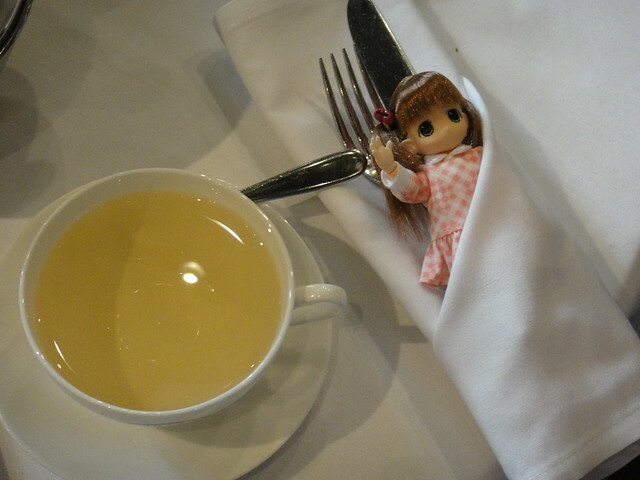 However, I need to remember that having a whole pot of tea to myself so late in the afternoon is not wise – I slept all of about 20 minutes later that night and I had to go to work the next day (although I was still a bit buzzed from the caffeine even halfway through Sunday!). I hate my caffeine sensitivity >__<"
Puppy52’s mini Mamachapp Ebichu was getting into all kinds of mischief and cuteness! The food was so beautifully presented and very delicious! It was a nice mix of savoury items, sweets and refreshing fruits. Here is the Signature Tea (two portions) that I shared with Shigematsu. 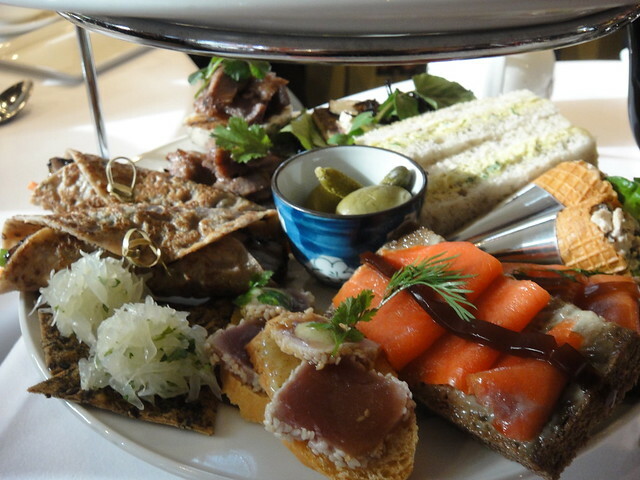 On the bottom tiers were savoury items that were slightly infused with tea. 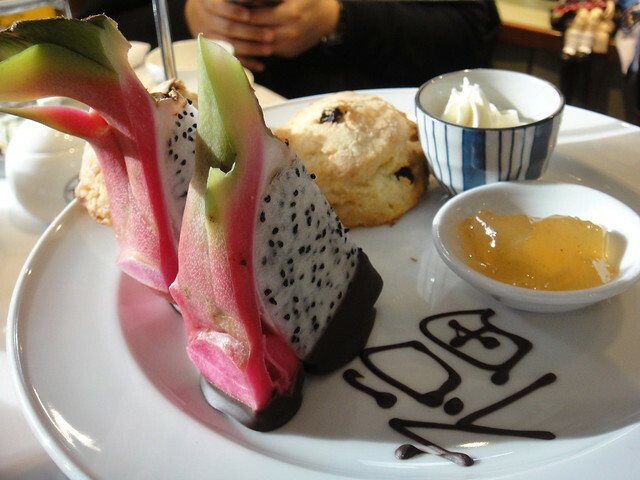 On the middle tier were scones, Devon cream, ‘Geisha Peach’ preserves, and chocolate dipped dragon fruit. I found the scones a bit hard and dry, but I’m generally quite picky about my scones. 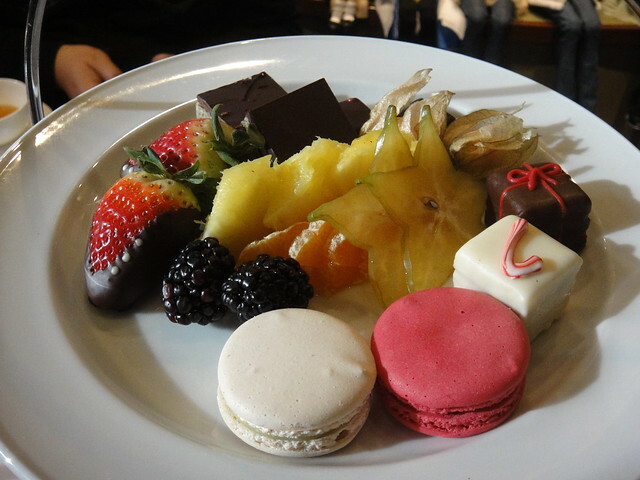 On the top tier were the petit fours, macarons (one mint, one Grand Wedding inspired), chocolates and fruit. Thank you everyone for coming out and making my short visit to Vancouver so memorable! I had a wonderful time & can’t wait to be back! 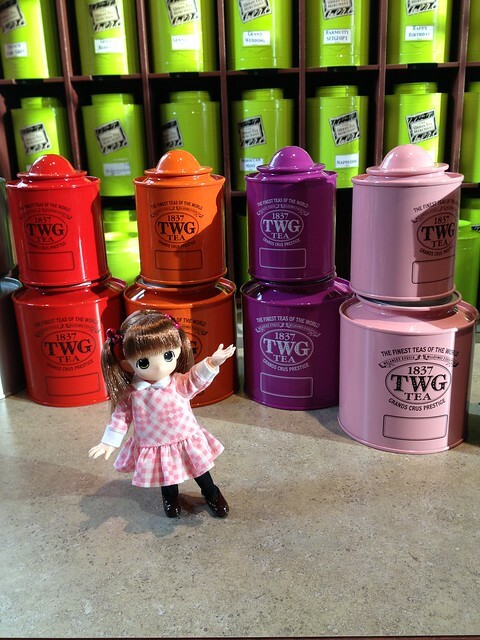 Here’s little Ebichu having some fun with some miniature tea tins! She’s so cute!! 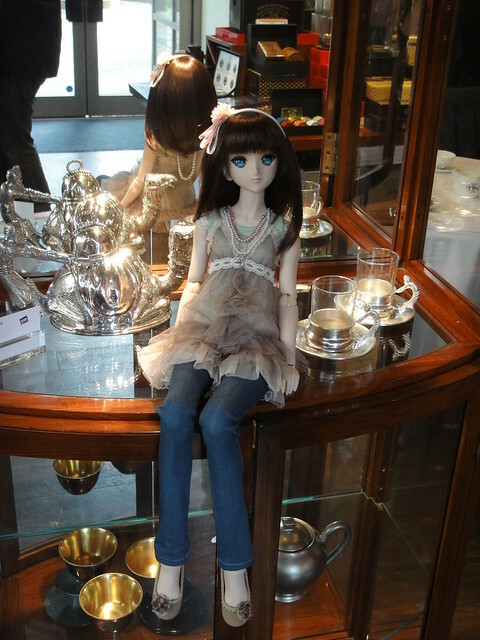 This entry was posted in Doll Meetup, Dollfie Dream, Volks Super Dollfie and tagged Vancouver by archangeli. Bookmark the permalink. 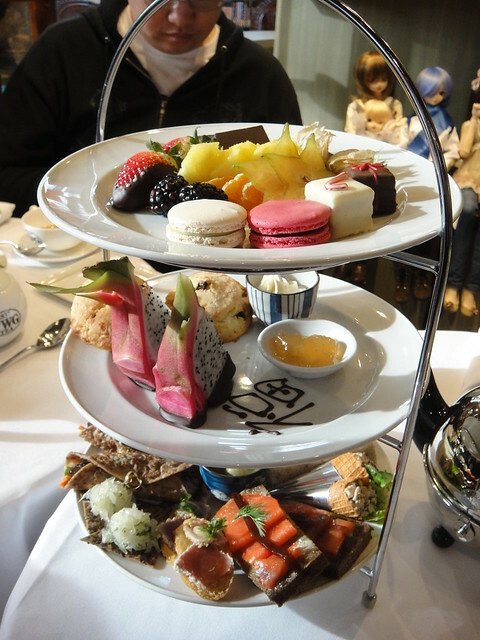 I went for afternoon tea at one of the fancy hotels in downtown Toronto last weekend and it wasn’t nearly as lovely as the Urban Tea Merchant. If you’re ever in Vancouver I highly recommend checking it out!